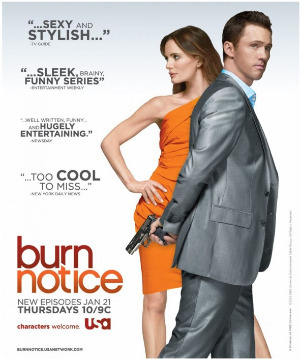 Covert intelligence operative Michael Westen has been punched, kicked, choked and shot. And now he’s received a “burn notice”, blacklisting him from the intelligence community and compromising his very identity. He must track down a faceless nemesis without getting himself killed while doubling as a private investigator on the dangerous streets of Miami in order to survive.